Business is all about giving and take. Often a business unit that manufactures products needs to purchase raw materials from other vendors to keep their factory functional. At other times customers may want to purchase finished goods from companies. Purchase forms are used for precisely this purpose. In the form, there are special segments that are specifically dedicated to listing down the details of the products like their description, quantity etc. 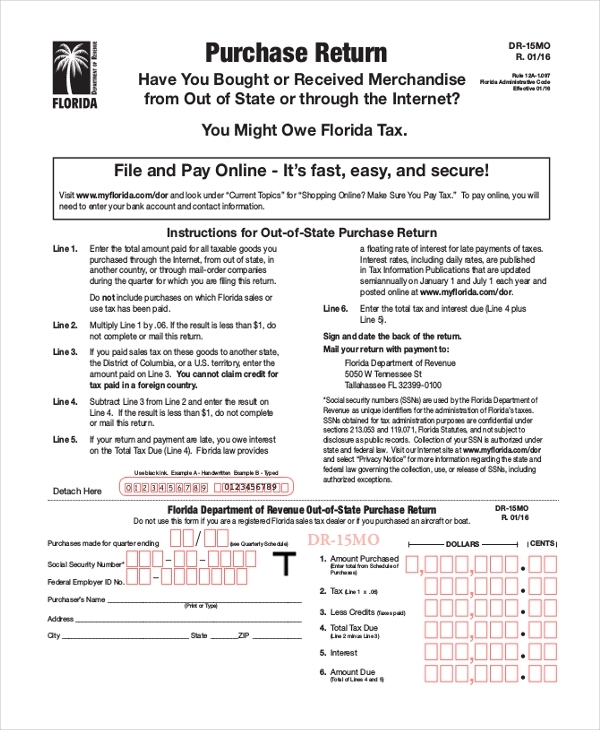 Use of these forms simplifies the whole purchase process. 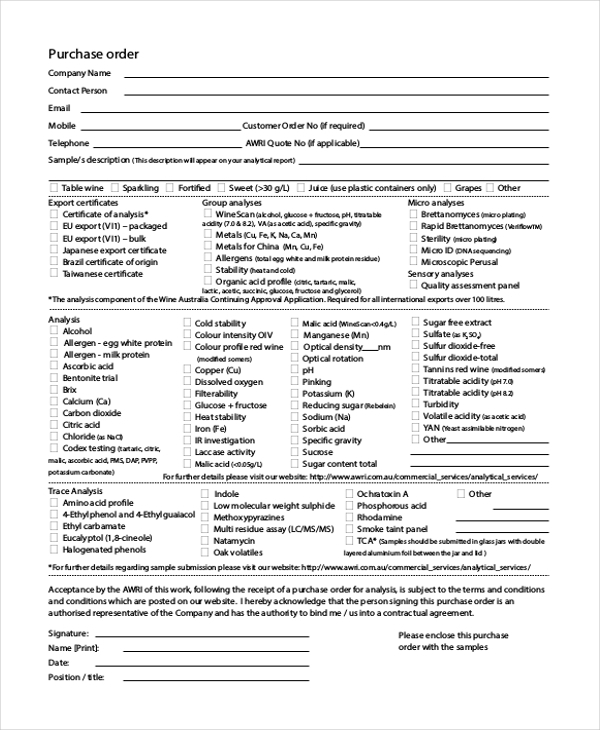 Business organizations use this form to list down the details of the raw materials for which they may have to place an order with their vendors. They can fill the relevant information in these forms and mail them to the party concerned. This form can be used by any person or organization who may want to purchase something, irrespective of what their nature of business. 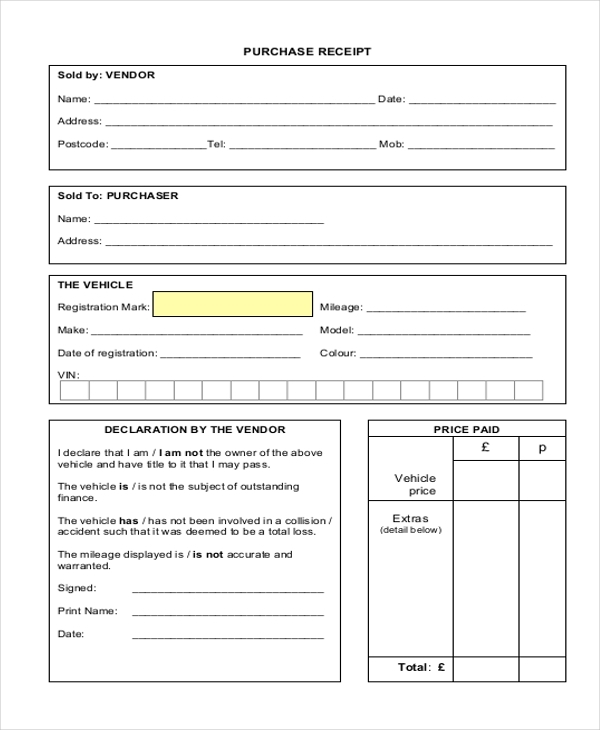 This form follows the standard purchase order format which is easy to understand. 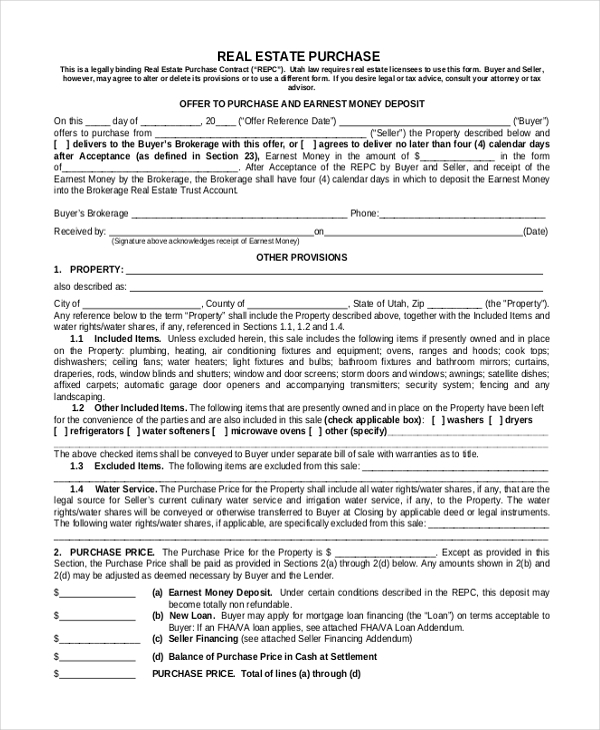 Real estate agents use this form to enable a party who may have purchased a certain property to sign an agreement with the property owner. In this form the clauses guarding the whole transaction are listed. These forms are usually used by educational institutions and government agencies. These forms come in handy when a person wishes to authorize another person to make certain purchases on his behalf. 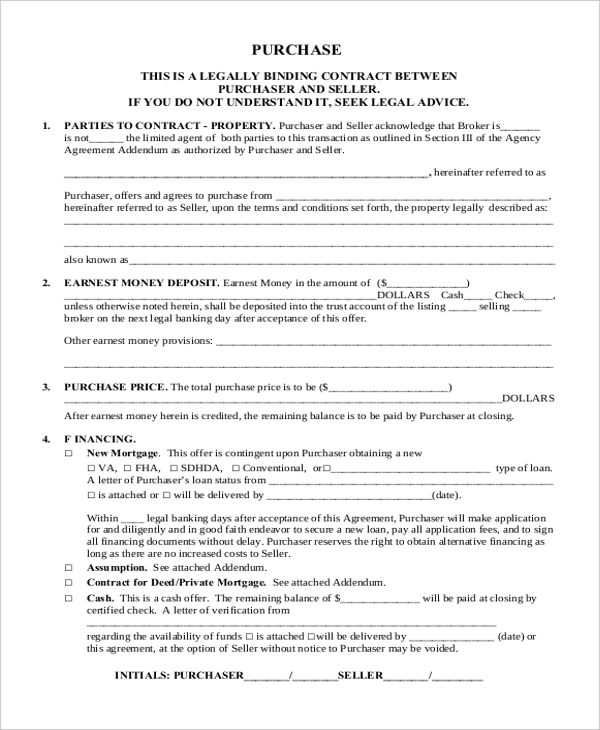 When a person purchases a property, vehicle or equipment from another person, the two parties can sign a legal contract by using this form. 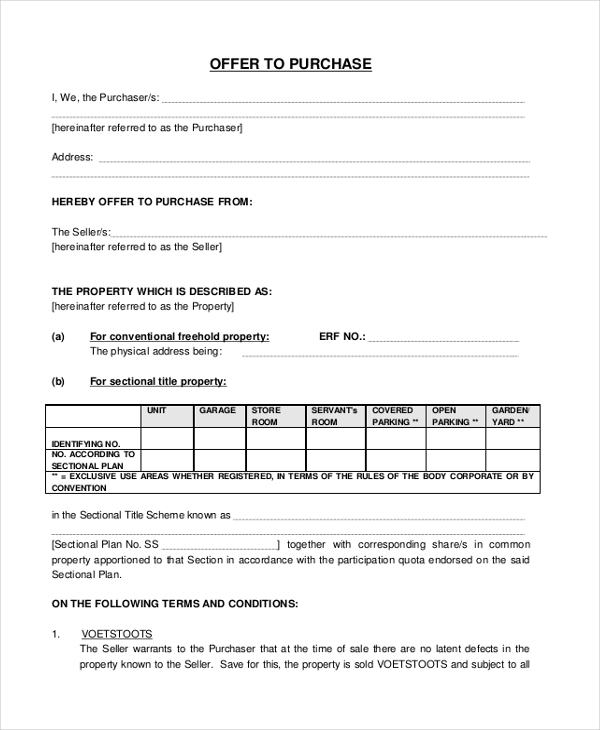 They can list down the details of the transaction in this form. 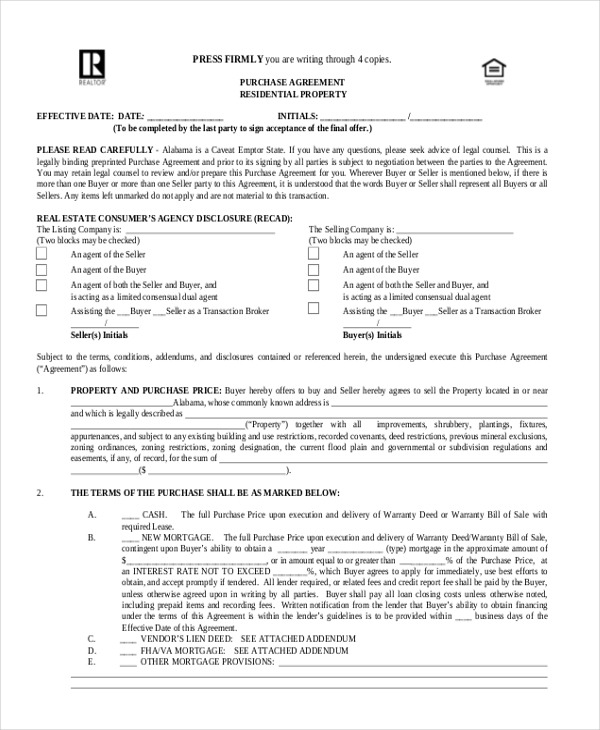 This is a legal form that when used can legalize the purchase of a property or an asset. 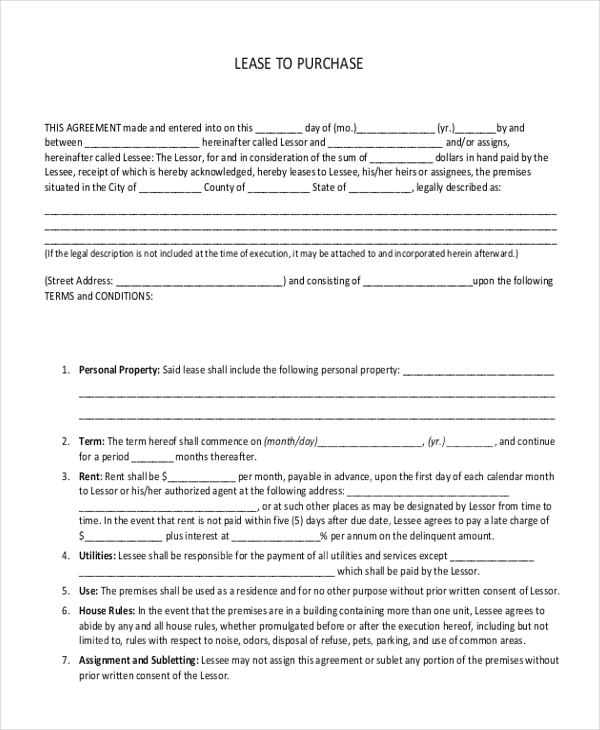 A person can use this form to successfully transfer the ownership of a property to him from the original owner. When a person leases out a property from an owner, he can use this form to elaborate on the clauses that would guard the lease purchase. In this form, the details of the two parties along with the financial details should be included. As the name indicates, this form can be useful when a person wishes to place an order for medicines or medical equipment from a company. He can list down the details of the purchase in the form of name, product, quantity etc. 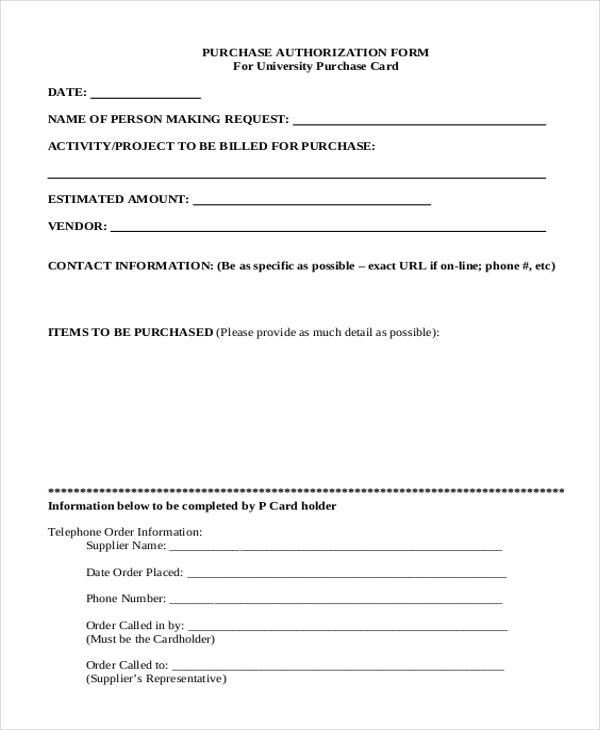 This form can be used by any person who wishes to place an order for purchasing products from an organization. He is required to fill in the form with the details of the products that he wishes to purchase. 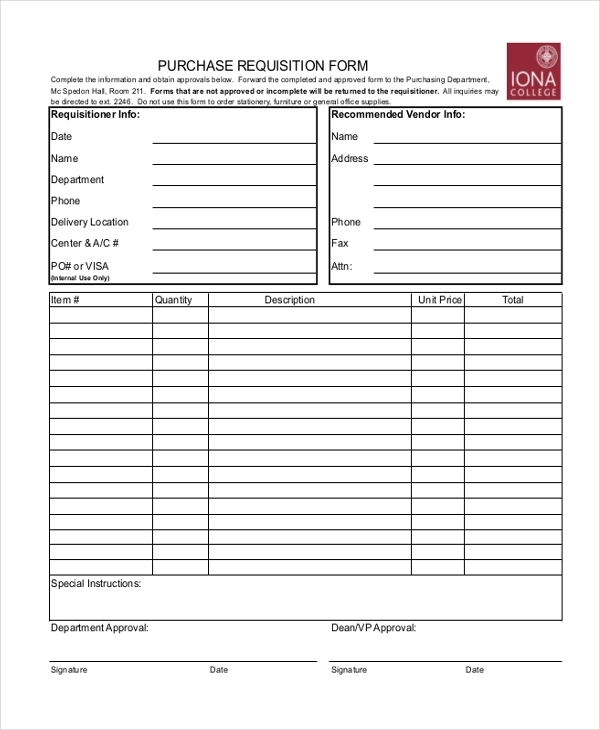 When a person or an organization run out of certain items and want the purchasing department to order these, they can use this form to send a requisition request. They may have to fill in the details of the items that they need. 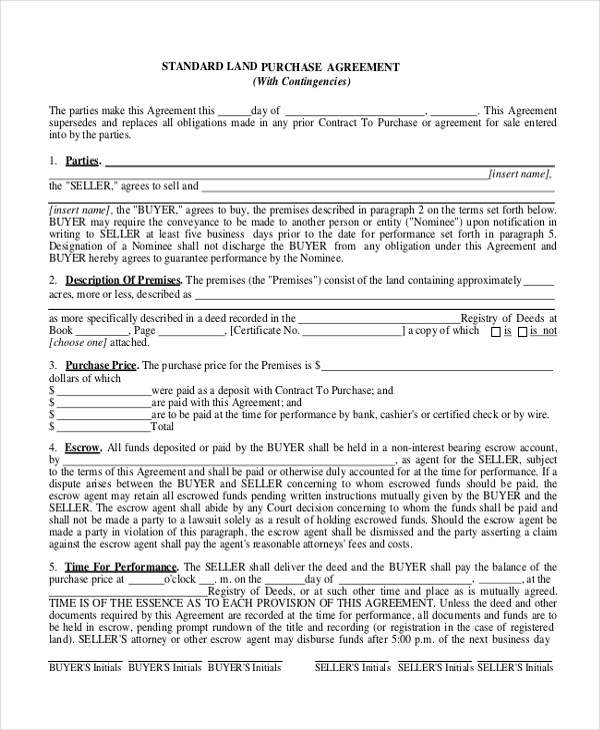 This form is generally used by a real estate firm or a real estate agent to help the party who may have purchased a property from another person. The form elaborates on the clauses of the purchase which both the parties are required to adhere to. This form is used by a person who may have purchased certain products from an organization. By issuing this form with all the relevant details filled in, he confirms to have received the consignment. If a person places an order for some products with an organization and then is not happy with a few or all of them, he can use this form to return the products to the company. In this form, he should list the details of the items being returned and the reason for returning them. 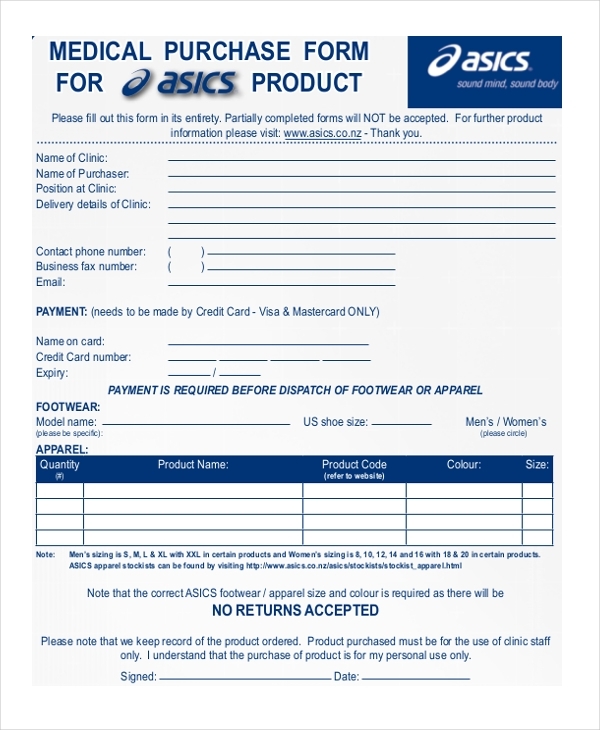 This template gives the user an idea of how he can design a purchase order form for his firm. 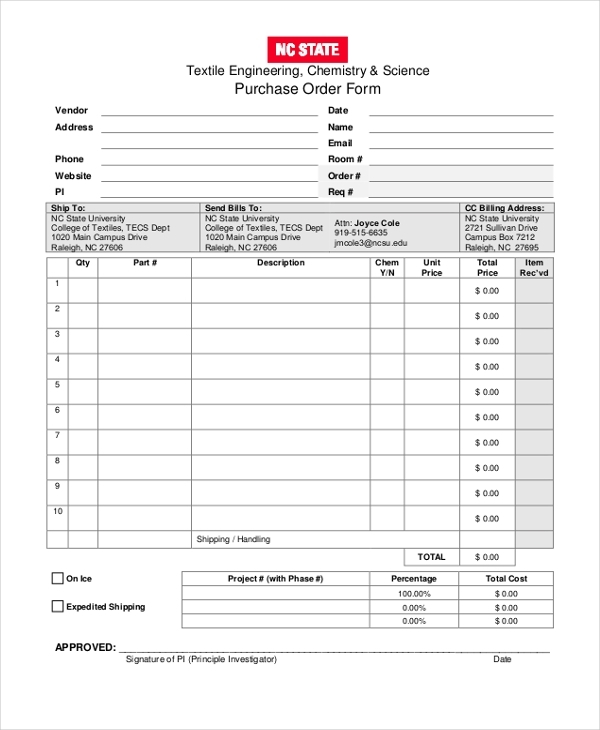 This purchase order template follows a format that is universally acceptable. However, the user can make changes to these if required. 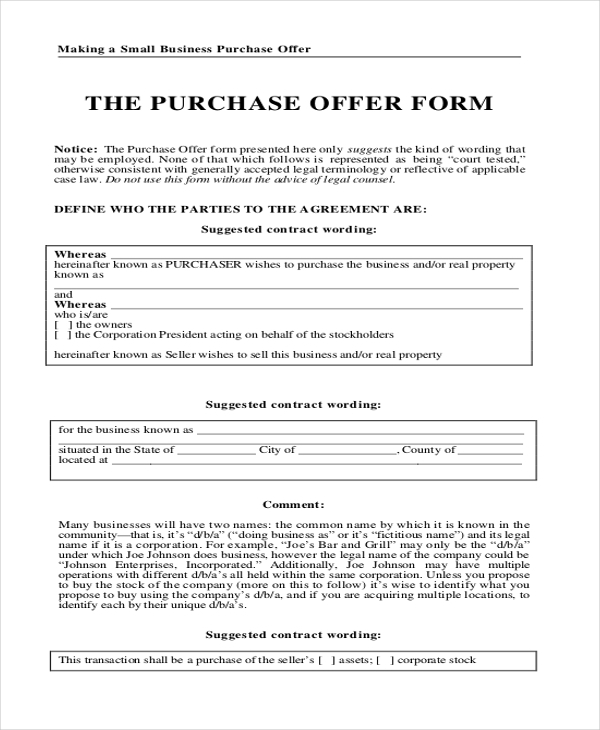 When a person purchases a land from the owner, the two parties need to sign an agreement. The aforesaid form can be used for this purpose. 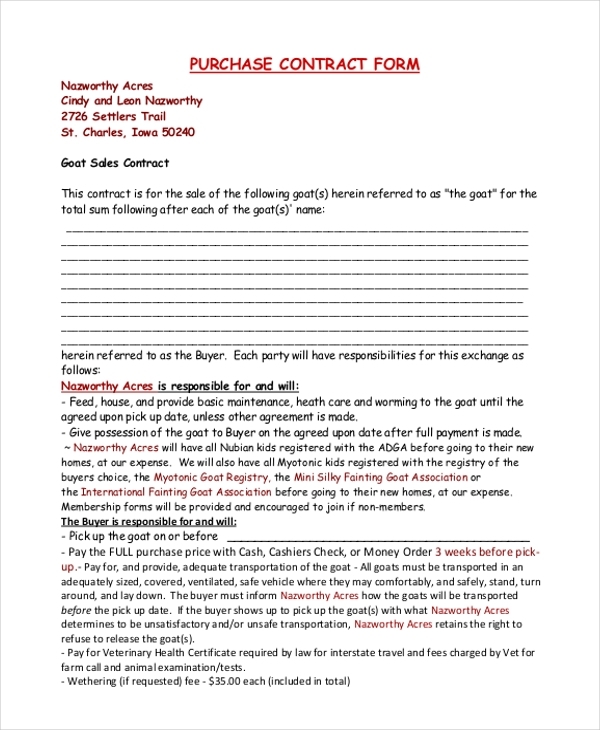 In this form, they can list the clauses that will govern the whole transaction. 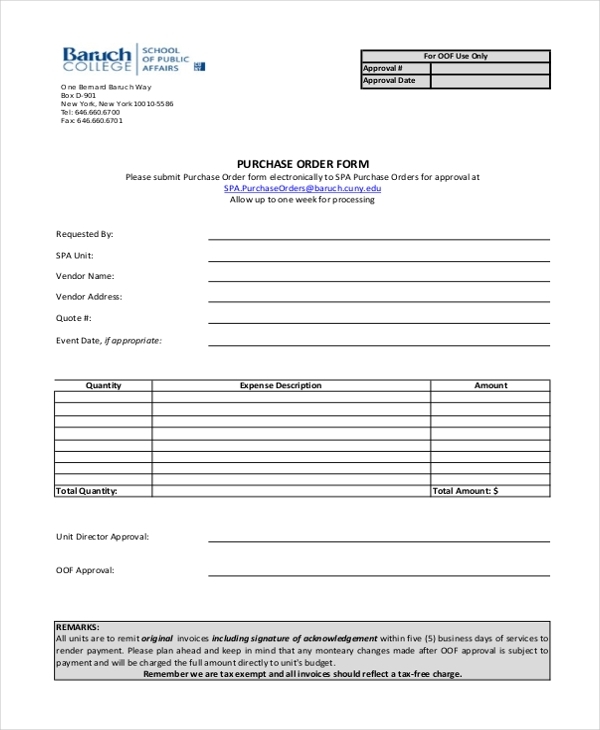 This is a sample of a purchase order form and gives the user an idea about the purchase order format that should be followed when designing such a form. It contains all the crucial subheadings which are a requisite in such a form. 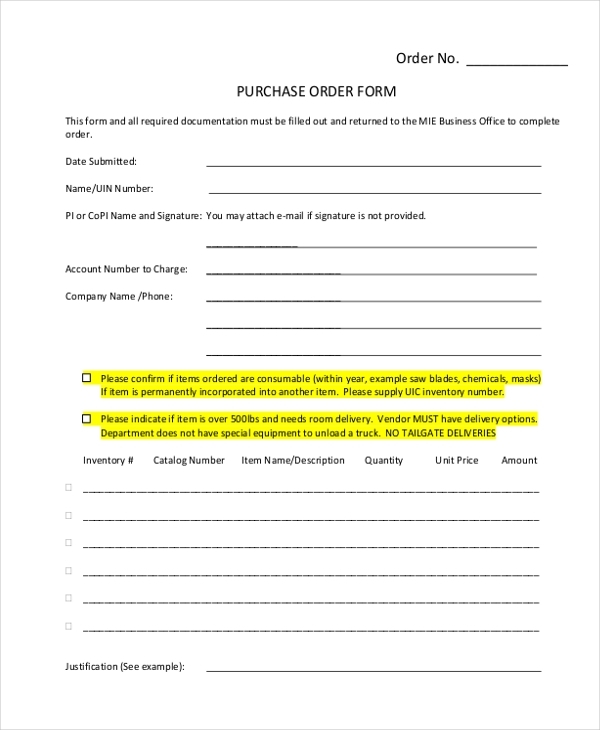 How to Use these Purchase Order Forms? Since a purchase order forms follow the desired format, using them is really not as hard as it might seem. All you need to do is fill in the relevant details under the destined subheads. Start at the top and add in the name of the organization or person from whom you intend to purchase the products. Below this will be a table with various subheads. In this add the name of the products needed along with their quantity and other specific details like size, color etc. In the end, you can add a comment if you want to give specific directions to the company. Complete the form and put in your signature and seal. Need some help to design a purchase form? Well, we have a vast selection of these forms to choose from. Browse through this and find the one that will be apt for you. Easy to download, you can make changes and customize this form to meet your requirements. Since these forms are print ready, they help you save a lot of time.